The smallest full moon of 2014 rises tonight. The smallest full moon of 2014 rises tonight. 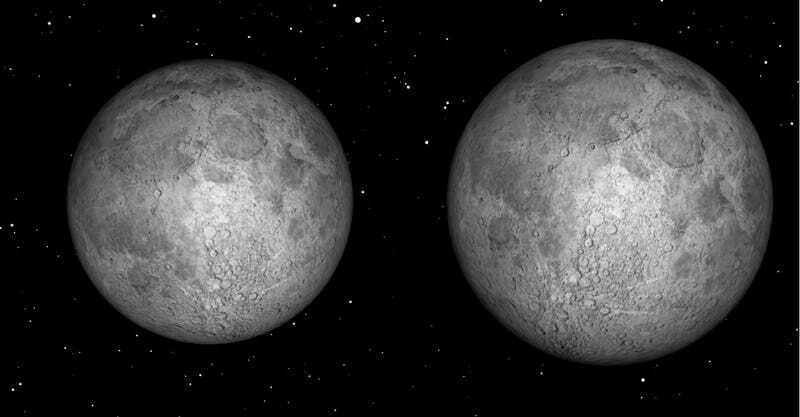 Over at SPACE.com, Geoff Gaherty has the lowdown on the science behind tonight's "Minimoon," and how it differs from recent Supermoons. Photo Credit: Starry Night software. Tonight's Minimoon is depicted on the left. On the right is a depiction of the Supermoon that will rise in Aug. 10, 2014.